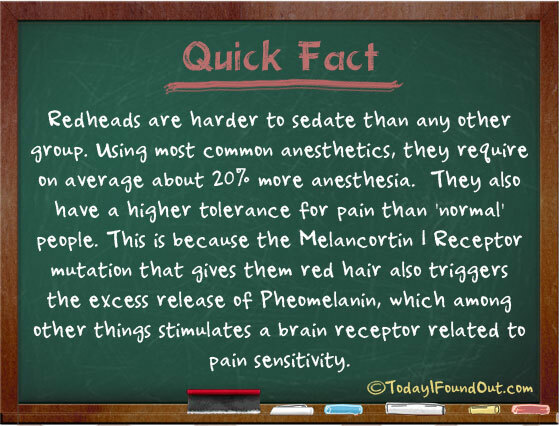 Redheads are harder to sedate than any other group. Using most common anesthetics, they require on average about 20% more anesthesia. They also have a higher tolerance for pain than ‘normal’ people. This is because the Melancortin 1 Receptor mutation that gives them red hair also triggers the excess release of Pheomelanin, which among other things stimulates a brain receptor related to pain sensitivity.